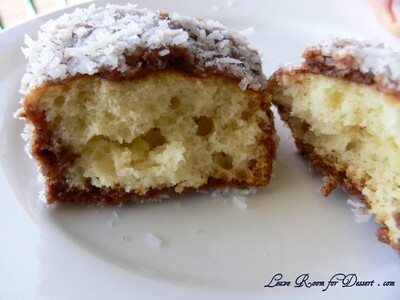 I thought I would celebrate by posting one of Australia’s favourite cakes – the Lamington. 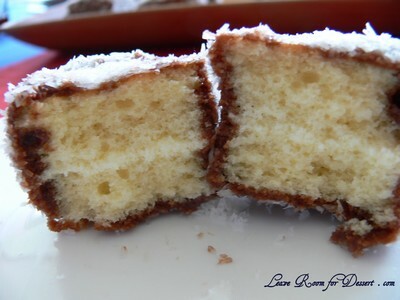 It is said to have originated in Queensland around the 1900’s, where Lord Lamington’s (the governor at the time) chef was given short notice to provide food for guests. 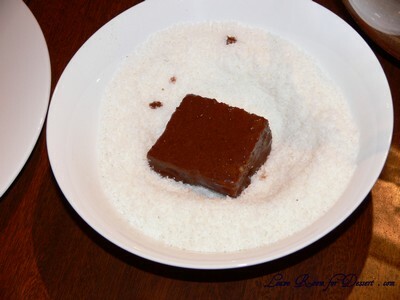 He quickly dipped some old sponge in chocolate and coconut and the guests enjoyed it immensely. Lamingtons are a part of our history, present and future. 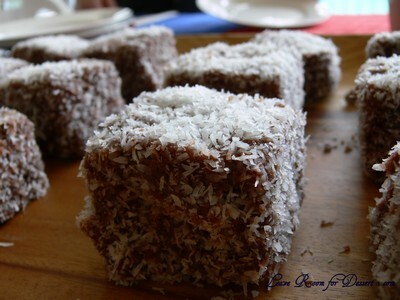 Schools and other organisations often fund-raise by selling lamingtons in “lamington drives”. 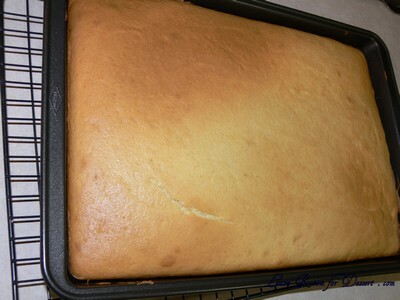 You can serve them plain or with a thin amount of jam and/or some lovely whipped cream in the middle of the sponge. Time to go have our BBQ… (and I won’t be having shrimp or prawns on the BBQ – but I will be having lamb tonight). Cream butter and sugar until light and fluffy. Add eggs, one at a time, beating well between each addition. Sift flour and salt. Add alternately with milk to mixture. Add vanilla essence. Blend well but do not over beat. Add a little more or less milk if necessary to form a soft dropping consistency. Spread evenly into a lightly greased lamington tray. Bake in moderate oven 180˚C for 25-35 minutes or until cooked. Turn out and cool on a cake rack. (You can use it straight away or leave it in an airtight container overnight). 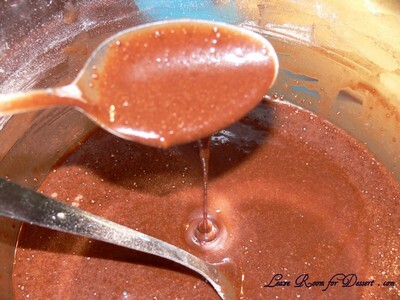 For chocolate icing – melt butter in ¼ cup boiling water. Sift icing sugar with cocoa. Add liquid, mixing well. Add vanilla essence. 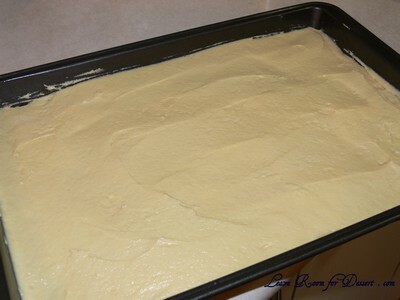 The icing must be thin so that squares of cake can be readily coated. Add sufficient boiling water to form this consistency. 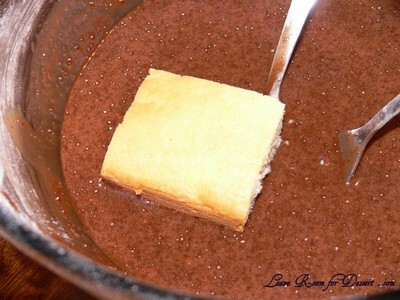 Dip and roll each square into the chocolate icing and let it soak for 15 sec or more and then roll in coconut. If you want to put strawberry jam and/or whipped cream in the cake, slice the sponge through the middle and spread over the cream. Dip carefully in the chocolate mix. Alternatively (if the sponge moves around too much), cut the sponge in half when already coated and then fill with cream. 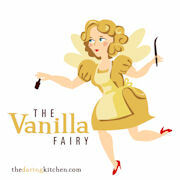 Filed under Cakes, Slices and Biscuits, Chocolate, Dessert, High Tea, Recipes. You can follow any responses to this entry through the RSS 2.0 feed. You can leave a response, or trackback from your own site. 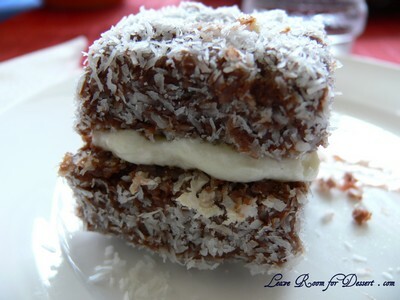 I just loved reading about Lamingtons. Never had heard of it before….but it looks wonderful. Could anything be better than cake, covered in chocolate and then dipped in coconut? And then you went and made a sandwich out of it! 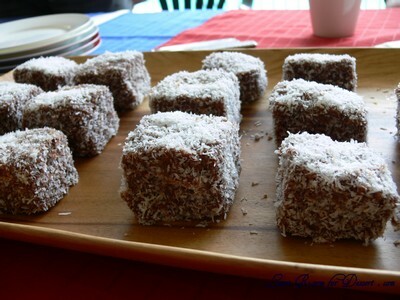 Lamingtons…I just learned about it with others bloggers…so interesting and thank you for sharing the recipe 🙂 Happy Australia Day! Im not familiar with these but they look superb! 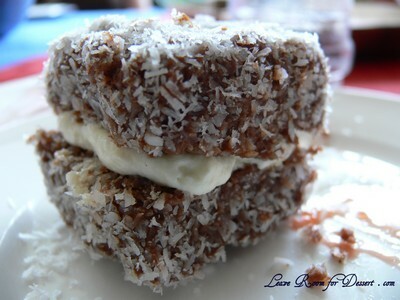 Wow- those lamingtons look light and fluffy and divine! Wow, these look really good. I’ve never heard of them before, but now I really want to give them a try! Everyone’s posted their own variation of lamingtons left right and centre! Mmmmmm lamb for dinner… very Australian! What a coincidence – I also had lamb today! 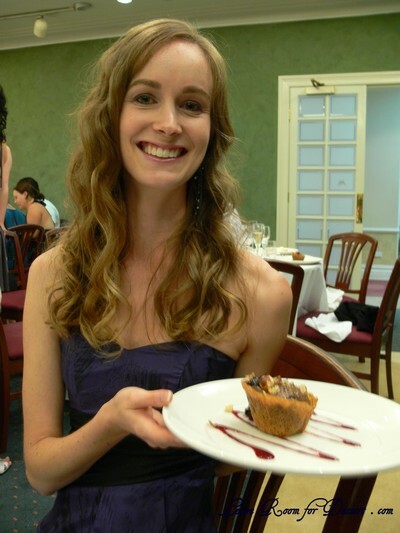 Well, thanks for sharing the information on lamingtons – I had no clue how they came about! Long live the lammie! These look great.